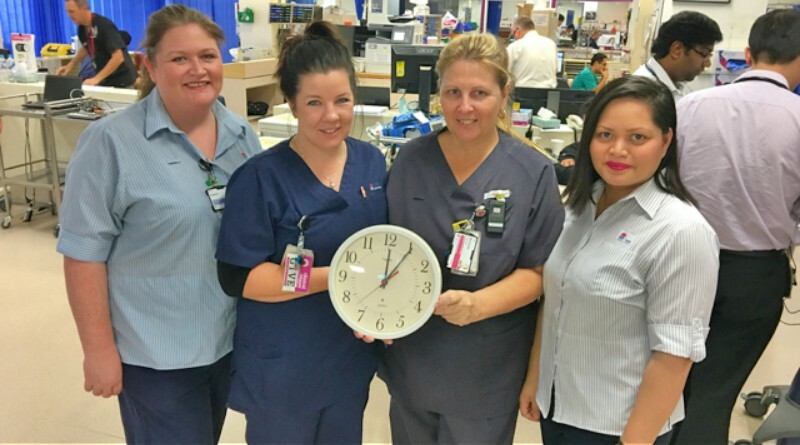 Time for change in Blacktown’s emergency department with new staff roles to improve the patient experience of care. From left, Joanne, Erica, Michelle and Aileen. Called Project RED, the major redesign project involves the whole hospital and focuses on every point in the patient journey, from when people first arrive in emergency or for planned surgery. “Project RED is a unique local initiative to provide a better patient experience wherever they are in their progression through the hospital,” said hospital general manager Sue-Anne Redmond. “People will start to see the difference from when they first arrive in emergency because we have a new inflow coordinator to support triage, streaming of patients into the right place for care, and an outflow coordinator to get patients who need to be admitted into a bed more quickly. Sue-Anne said even simple measures like dedicated portering and bed cleaning teams have made a huge difference already. Sue-Anne said there are more than 30 hospital wards and departments involved in the major change program, which will have long-term benefits too. “In the short term, we improve patient flow and reduce waiting times for patients, and that means a better experience for patients and staff, but if we can get it right now, it gives us two years to fine-tune the model of care before we move into the new acute services building,” Sue-Anne said. “Our clinicians have designed the new emergency department and wards to support that model of care. “We want everyone to benefit by adopting that change sooner rather than later,” Sue-Anne said. Project RED (whole of hospital redesign project) will be rolling out at Mount Druitt Hospital soon. The Blacktown emergency department in their 8am morning huddle. The huddle improves information sharing and effective patient management so every person is in the right place, at the right time, for the right care.